Home / Fanboying! 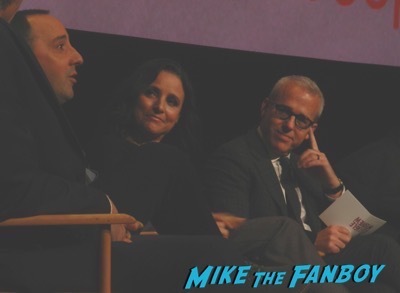 / Veep FYC Panel! Meeting Julia Louis-Dreyfus! Anna Chlumsky! Tony Hale! Reid Scott! And The Cast! 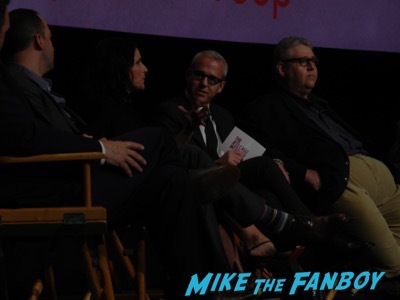 Veep FYC Panel! Meeting Julia Louis-Dreyfus! Anna Chlumsky! Tony Hale! Reid Scott! And The Cast! 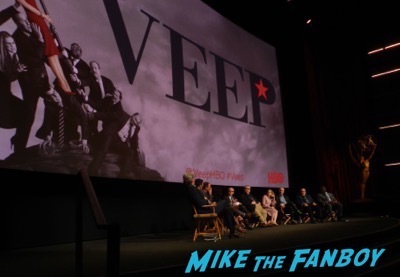 Veep is one of my favorite shows on the air right now, it’s hysterical and biting. This season Selina played by Julia Louis-Dreyfus is coping with life after losing the presidency and it’s brought about an interesting change for the series. 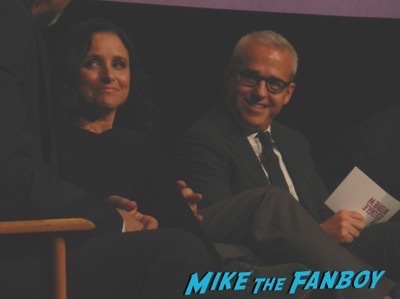 “Winning is not that funny really.” Laughed Julia Louis-Dreyfus. “Watching the power slip through her fingers is the fun.” Said David Mandel. Each of the characters have changed this season. 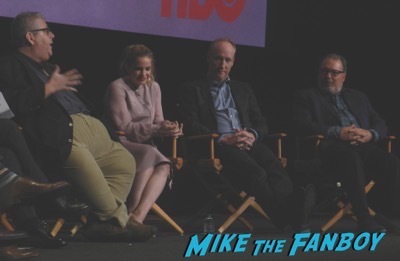 The panel was great and afterwards everyone was very nice. In fact the whole cast stayed to hang out. 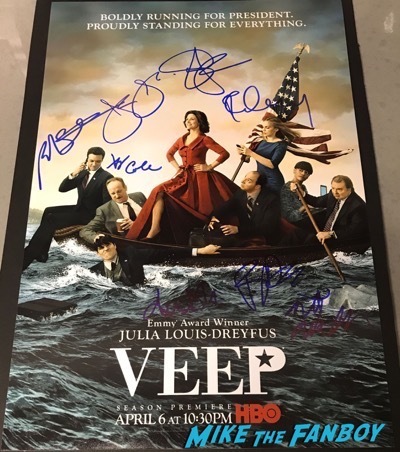 Julia Louis-Dreyfus came over and signed and did photos. She mentioned how cold the theater was and we all agreed she was right! 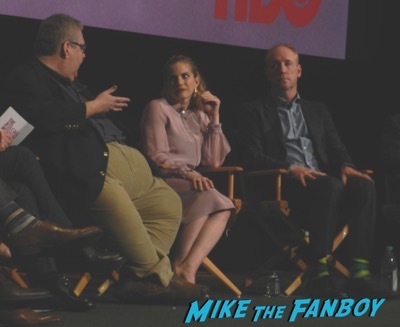 Then we got Tony Hale, Matt Walsh, Sam Richardson, Gary Cole and Kevin Dunn. 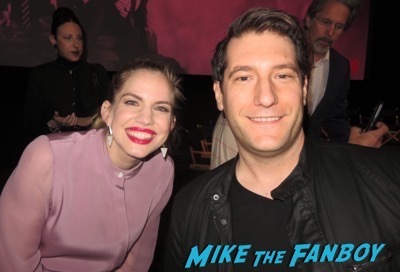 I talked with Anna Chlumsky for a bit and she was so sweet. I love our photo! 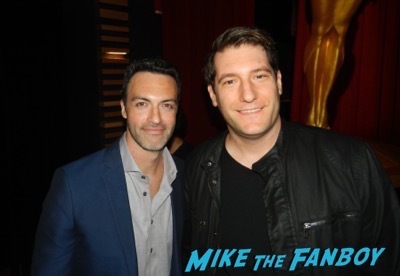 Then I got a quick pic with Reid Scott as well. It was a blast and my posters came out awesome! G.I. Joe star Mr. Channing Tatum stops to meet fans and take pictures! A New Report from CB! Grease 2 35th Anniversary Reunion and Q and A! Maxwell Caulfield! Adrian Zmed! Maureen Teefy! Christopher McDonald! And More! Elisa Heads To The Set Of The Normal Heart! 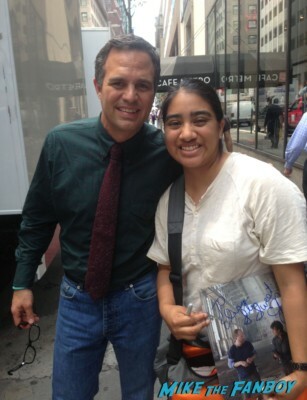 Meeting Mark Ruffalo & Matt Bomer! Autographs! And More! 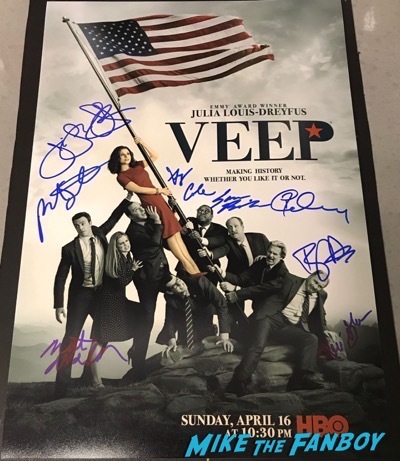 My Veep poster will forever be unfinished. I still need Anna. 3 years running now without her. Those posters are insanely amazing. Beyond jealous. 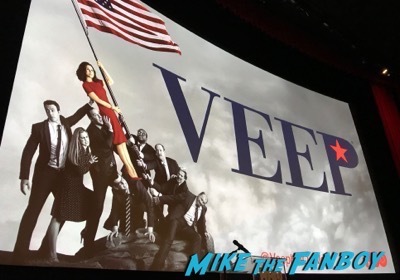 Love Veep so much.